This fun and energetic offshoot of East Coast swing is an appealing partner dance anyone can pick up. 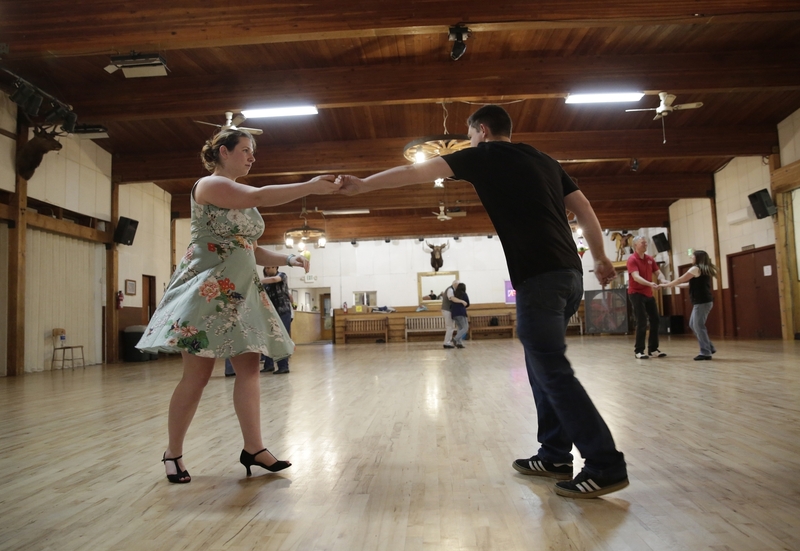 I’VE DONE THE basics of East Coast swing, and I’ve Lindy Hopped my way around the dance floor. But swing has so many styles of movement, I’ve discovered there’s always more to explore. When I realized I hadn’t tried jitterbug, I was in. 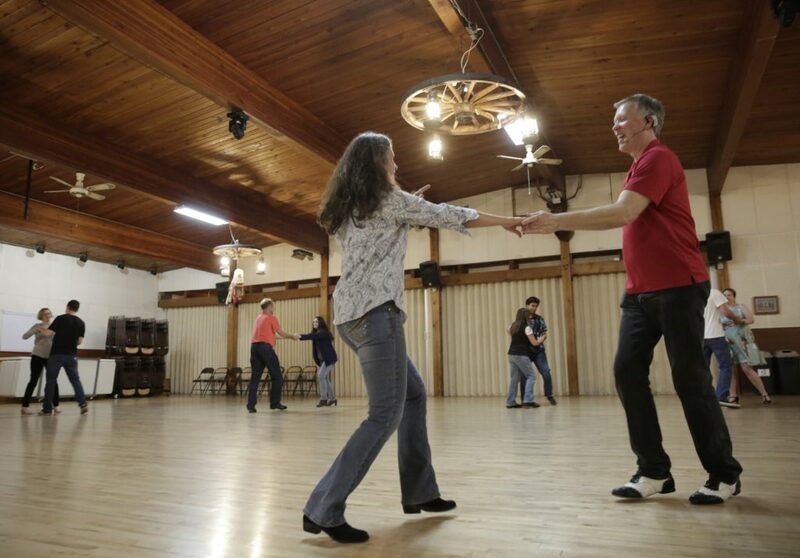 It evokes jazzy feet; grins; and fun, bouncy moves. Who doesn’t want to know how to jitterbug? I found a class at Rockin’ Horse Dance Barn in Renton, which specializes in many types of swing. But first I needed to understand the difference between the styles. What I learned: West Coast is the slowest and most sophisticated style of swing. It’s the style aficionados are most likely to focus on mastering. 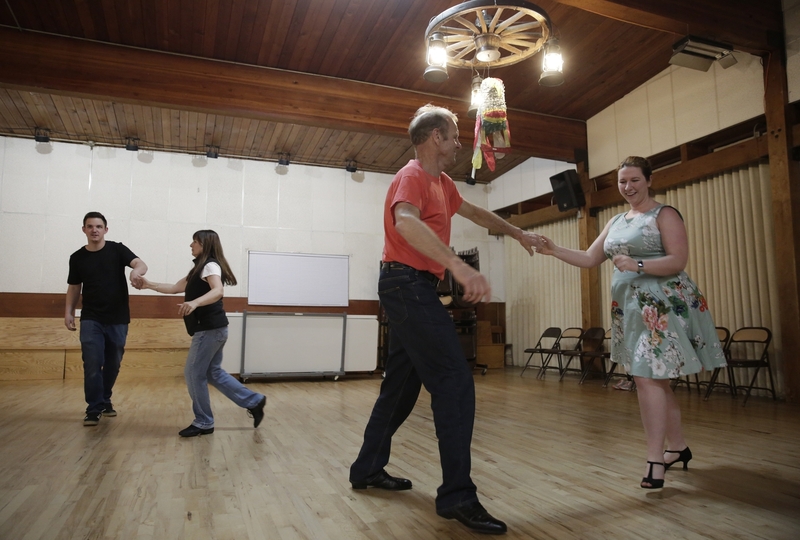 Lindy Hop’s roots are in West Coast swing. East Coast swing is the most popular; if you’ve taken a swing class, you likely learned this style, which works off a triple step. Jitterbug is an offshoot of East Coast, using a single step and faster tempo to challenge dancers. I arrived for the second class in the jitterbug beginner series. 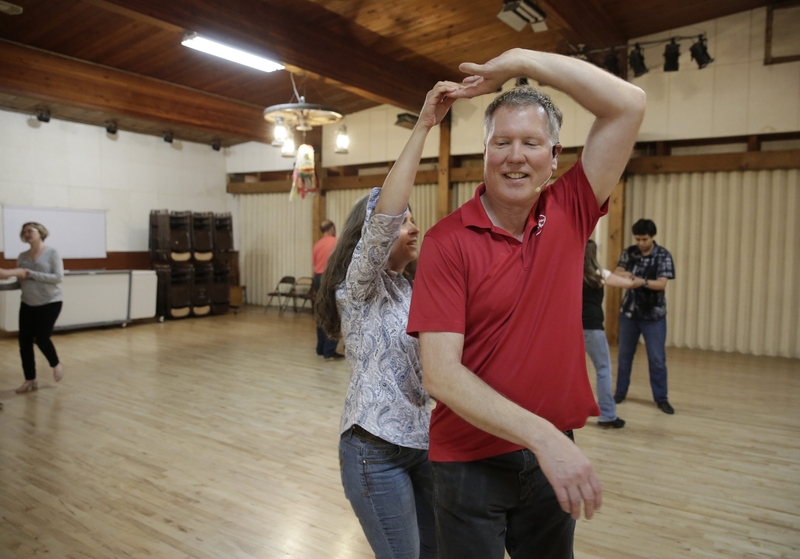 Teacher Dave Serfling first reviewed the basic steps, which are slow-slow-quick-quick. He broke down the direction of the steps for the leads and followers, and it felt familiar and easy. He moved us quickly into turns, showing the followers their steps first, then teaching the leads how to indicate a change to a turn. We rotated through partners, and when I got to Serfling, I realized I had quite a bit to learn about being a follower. He showed me how to fold my hand at the base of my fingers instead of my wrists, so my hands were heavy for my lead with more contact. I also was lifting my arm for the turn instead of letting my partner lift my arm, which was making me arch my back and lose my balance. Leads are supposed to lift their partners’ arms high enough to spin under, and Serfling told me to trust my partner. He had me practice spinning without using my arm to lift or help out. There was immediate improvement in the flow of our turns. Serfling next showed the followers a simple change in direction to turn forward and back, and taught the leads a more complicated turn, changing hands behind their backs. I relaxed into the change in pace, trusting each partner to work through the hand switch. We also learned an overhead slide. Serfling showed the leads the importance of hand position, so they could widen their hands, pull their partner in closer, lift their arms overhead and slide away. I was lucky enough to be a Rockin’ Horse student for several years. I thought Dave was a great teacher and this article reflects that. Note how the author describes how he helped her make adjustments so she could really get into the “swing” of things! On top of that, I sure enjoy Dave’s sense of humor. Dancing is fun and he made it even more fun.